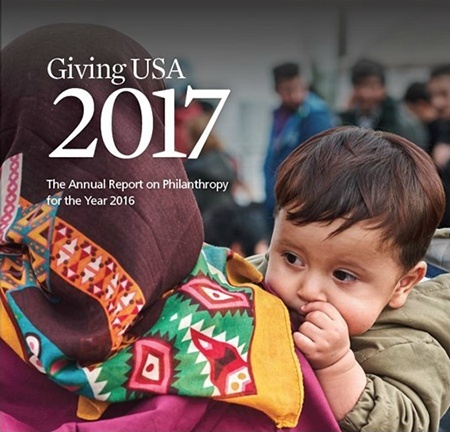 2016 was the third year of consecutive growth in U.S. charitable giving, with philanthropy reaching a new high of $390.05 billion according to Giving USA 2017: The Annual Report on Philanthropy. 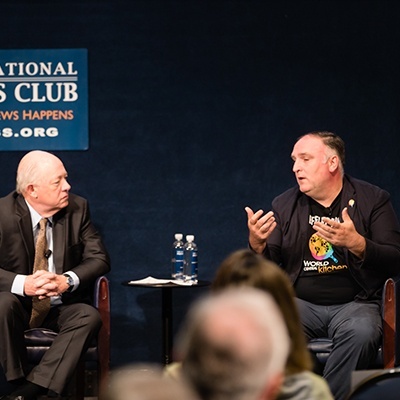 In a year of decreased bequests and mega-gifts, this growth represented a modest advance propelled by the widespread generosity of individuals. 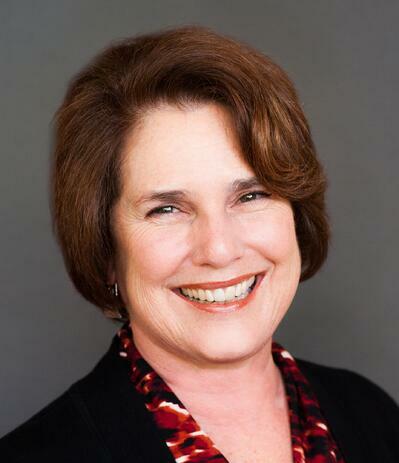 On Thursday, July 7, Aggie Sweeney, CFRE, was elected Chair of Giving USA Foundation during its annual meeting in Napa Valley. She takes the helm after serving on the Foundation board for the past six years. 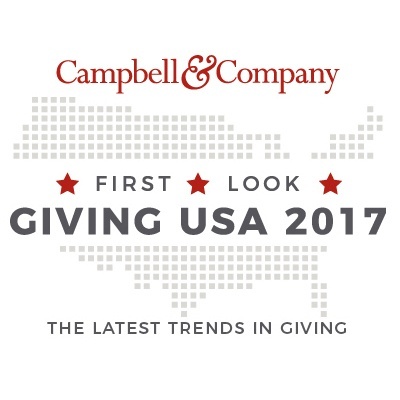 CHICAGO, IL (June 14, 2016) - In 2015, charitable giving in the U.S. reached a total of $373.25 billion - an increase of 4.1 percent in current dollars between 2014 and 2015, according to Giving USA 2016: The Annual Report on Philanthropy. 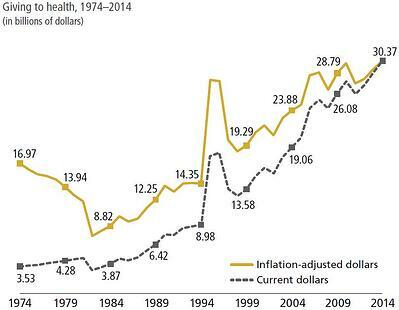 The increase in charitable giving by all sources marks consecutive, record-setting years in total giving, a direct reflection of both economic improvement and the dedication of hardworking philanthropists driving Americans to record levels of giving. 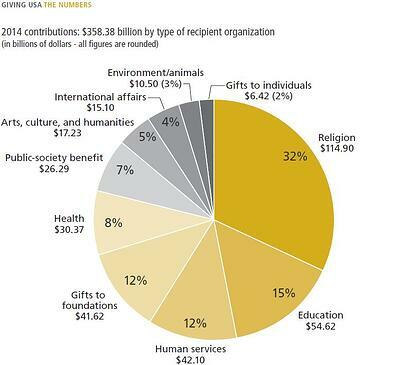 In 2014, the education sector received the second-largest amount of charitable giving out of all nonprofit sectors – reaching a total of $54.62 billion, according to Giving USA 2015: The Annual Report on Philanthropy. 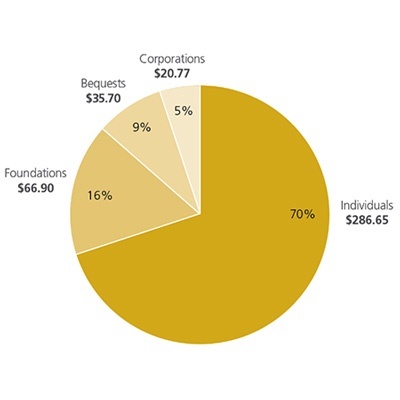 Contributions to the education sector comprised of 15 percent of total giving in 2014. 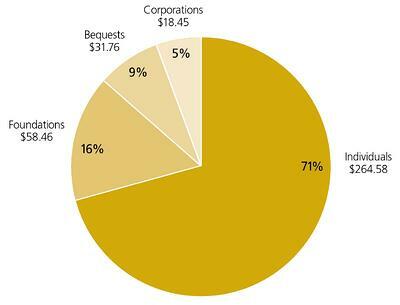 The report shows that Americans donated an estimated $358.38 billion in total, which is the highest level in the report's 60-year history. When assessing charitable giving to the education sector in particular, the data shows a steady growth in charitable contributions. 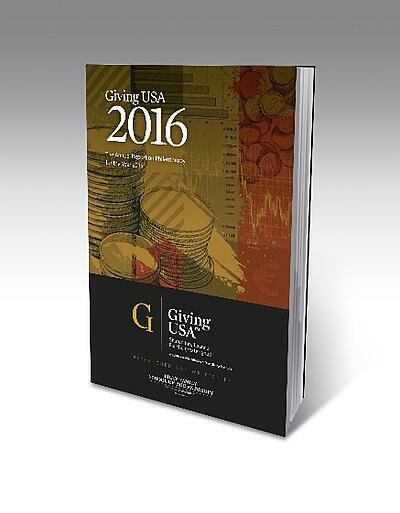 Between the years of 2013 and 2014, giving to education increased by 4.9 percent. Below are some more key findings and recommendations that are intended to help organizations in education effectively prepare for their future in fundraising.